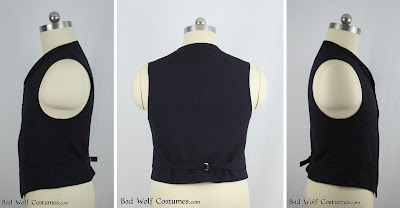 Bad Wolf Costumes: 11th Doctor "anniversary" waistcoat pattern, pre-order discount! 11th Doctor "anniversary" waistcoat pattern, pre-order discount! 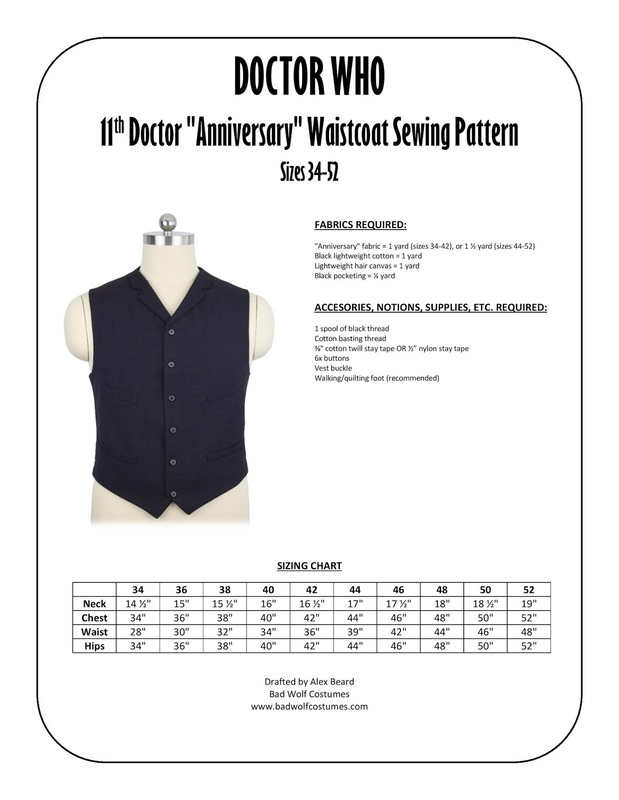 And now, to complete the trio of 11th Doctor waistcoat patterns, our 11th Doctor "anniversary" waistcoat pattern is now available for pre-order, at a 10% discount! It was meticulously drafted to be as faithful to the originals as possible and includes men's sizes 34-52. The pattern is printed on large-format paper and includes a copy of text-only instructions. A free sewing tutorial (intended for use with this pattern is coming soon, so stay tuned! Men's TNG skant pattern - now shipping! Men's TNG skant pattern, Pre-order discount! © 2016 Bad Wolf Costumes. Powered by Blogger.